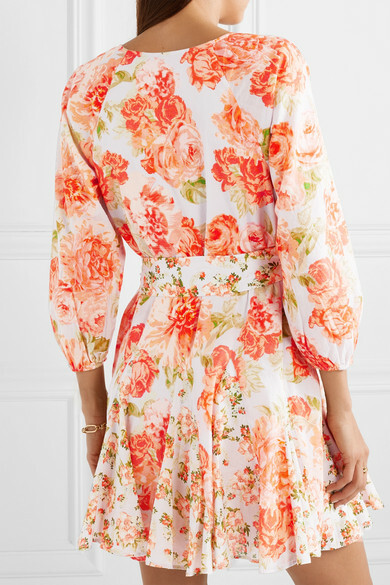 Alice + Olivia's 'Pali' mini dress is perfect for summer parties, vacations, or destination weddings. 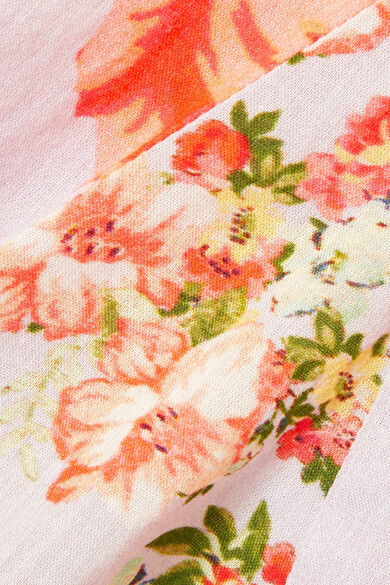 Cut from lightweight cotton-voile, it's decorated with pretty blooms and has breezy bracelet sleeves and a softly pleated skirt. 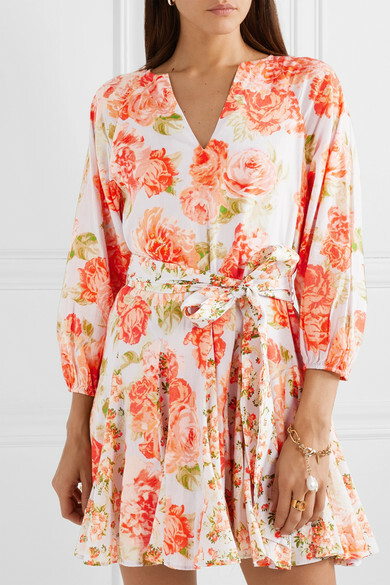 Wear it with barely-there sandals, using the self-tie belt to define the narrowest part of your waist. 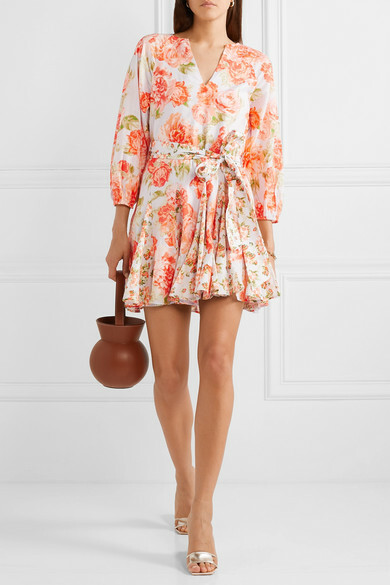 Shown here with: STAUD Bucket bag, BY FAR Mules, Isabel Marant Earrings, Aurélie Bidermann Ring, Mounser Bracelet, Chloé Ring.